All Washington homes currently listed for sale in Washington as of 04/21/2019 are shown below. You can change the search criteria at any time by pressing the 'Change Search' button below. "VIEWS! VIEWS! Located atop the peak of ''Northbridge Estates'' at Green Springs ''BRAMASOLE'' means Beneath the Sun * Sprawling ''European Villa'' over 9900 square feet of living space, this five-bedroom, eight-bathroom estate was meticulously built with a balanced combination of architecture, design and timeless finishes." 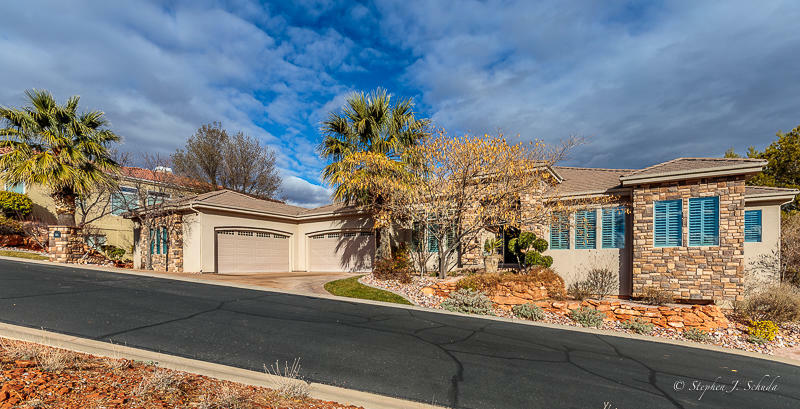 "Absolute dream home with unobstructed views of Zion National Park, the valley and Pine Mountain in the highly desirable gated community of West Gate Hills in Washington. Overlooking #17 at Green Spring Golf Course, with views that are permanently non-build-able. Pool house has game room, kitchen, full bath, workout room & Theater room. The pool house is auto climate with HVAC, sub zero ice maker." 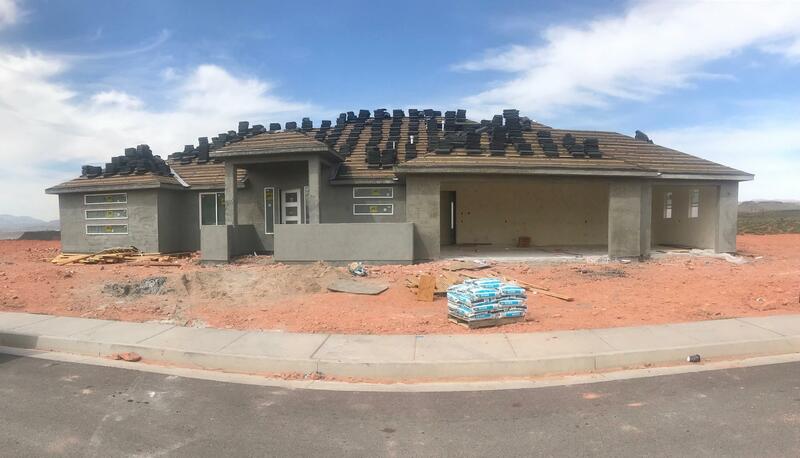 "This home is featured in the 2019 St. George Parade of Homes. Built by DG Ventures, no upgrade was overlooked in this beautiful house. From the gourmet kitchen equipped with top of the line Thermador appliances, to the downstairs showroom garage, this home is sure to impress. The 18 foot vaulted ceilings on the main level capture the views of Zion and Pine Valley Mountain." "Parade quality +++! Enjoy indoor & outdoor entertaining with a huge great room, gourmet chef kitchen (Thermador & Gaggenau Appliances). The pool & patio will provide endless entertainment. Spectacular views of Red Rock and Pine Valley Mountains. Quartz countertops, contemporary lighting and fans. Vivant Security Thermostat, 5 high end Smart TV's, 15' ceilings & fireplace." "Views Views and more View. This custom built Craftsman home is SPECTACULAR. From the second you walk through the door you will be welcomed into this open living area with 6 large bedrooms, 4 bathrooms, 10 ft ceilings, fireplace, expansive deck to take in all the views of Pine mnt and the beautiful pool & Jacuzzi. This home has it all, call me today to schedule your appointment." 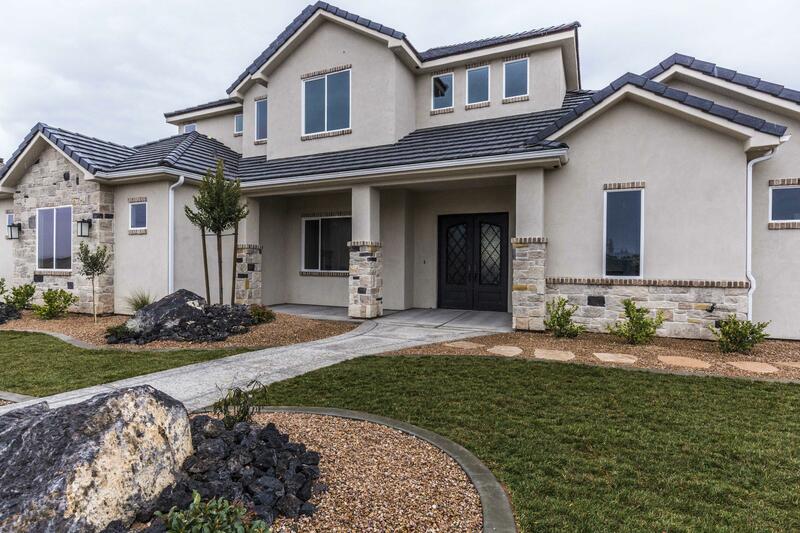 "STYLISH CUSTOM HOME IN UPSCALE WASHINGTON FIELDS NEIGHBORHOOD. 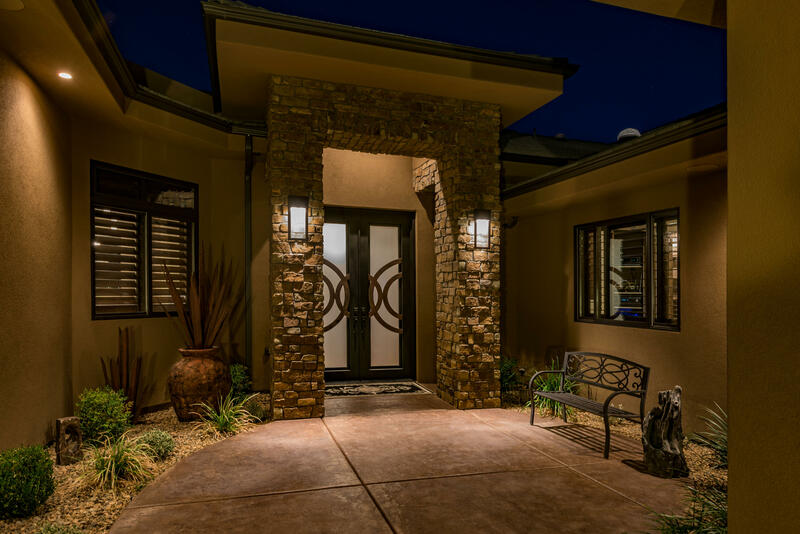 Home has endless curb appeal with attention to every detail and no expense spared. 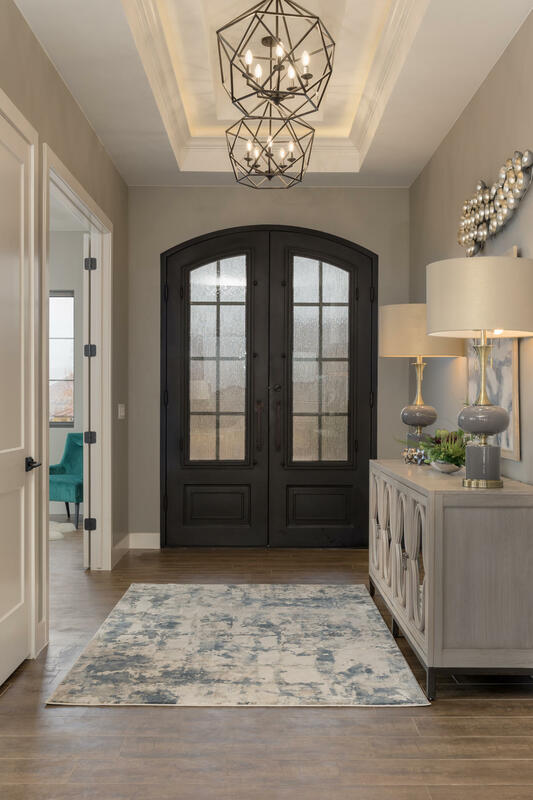 Upgrades include formal dining w trey celling, custom cabinetry throughout, stainless appliances, wood floors, theater room, wood shutters, RV parking & detached garage. Zoned for new intermediate school, Crimson Cliffs middle and high schools." 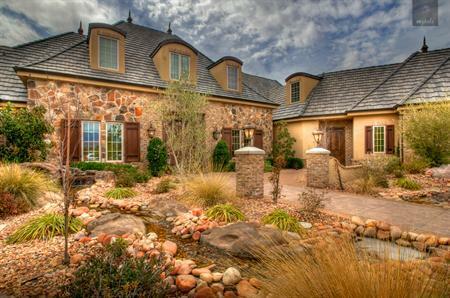 "Exceptional custom home with gorgeous views. Spacious rooms and tall ceilings add volume to this comfortable home design. 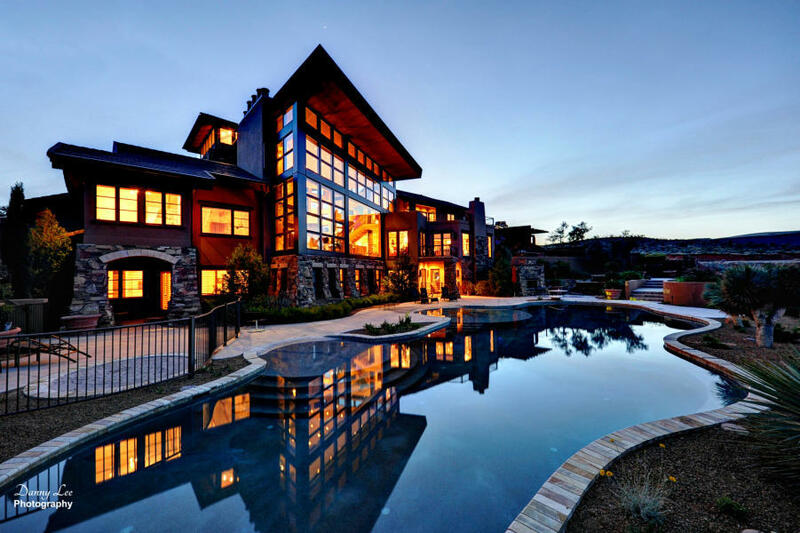 Butted glass and huge windows allow natural light and views of the pool and spa as well as far away mountain vistas. 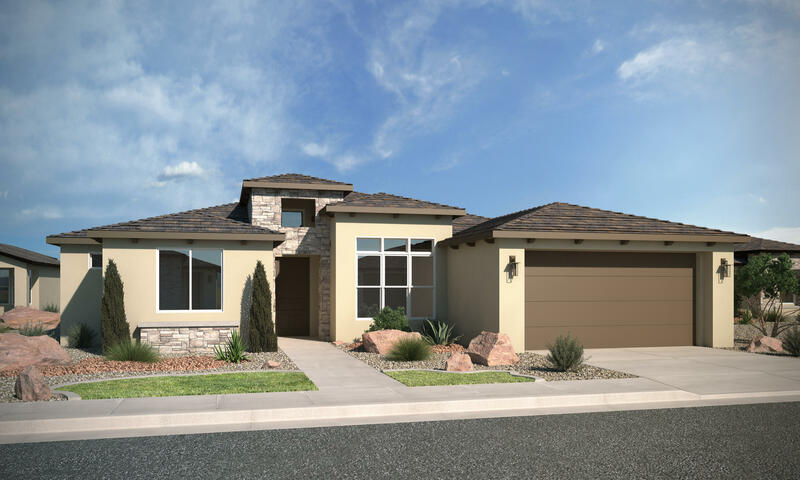 Enjoy Southern Utah lifestyle and hobbies with the 5 car / RV garage (garage is over 2200 sq ft!) Incredible millwork, cabinetry and finishes throughout"
"VIEW VIEWS VIEWS!! 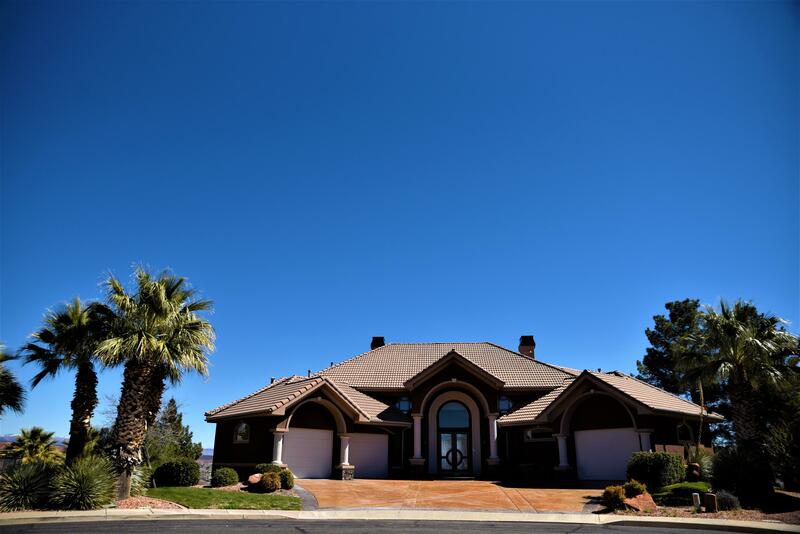 CUSTOM WALK OUT Gated hilltop community with golf course views. Just completed updating painting, flooring, refinishing cabinetry & refacing front elevation with stone and custom paint finishes. Home is a MUST SEE! 360 Degree Views of Zion, Pine Mt & Valley & golf course. Built with quality throughout. Custom wood work, detailed ceilings, travertine floor. The kitchen has"
"Exquisite Tuscan style home located in Green Springs. Incredible views of Pine Valley Mountain. Finely appointed upgrades including travertine, granite, custom stone fireplace, commercial grade appliances, large viewing windows, observation deck and multiple balconies. HUGE master suite & luxury bath, office/den, theatre room, exercise room, gourmet kitchen, family room and more!" 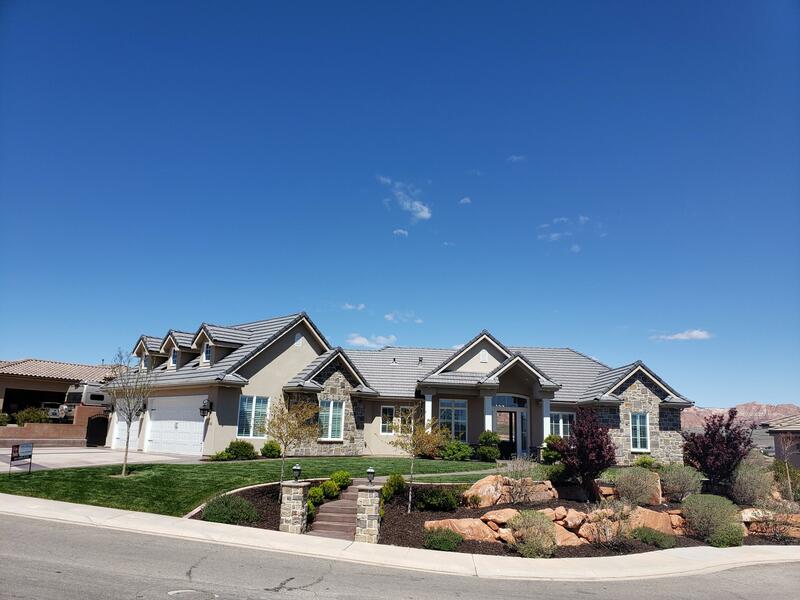 "This custom home offers the best mountain and city views available in southern Utah. 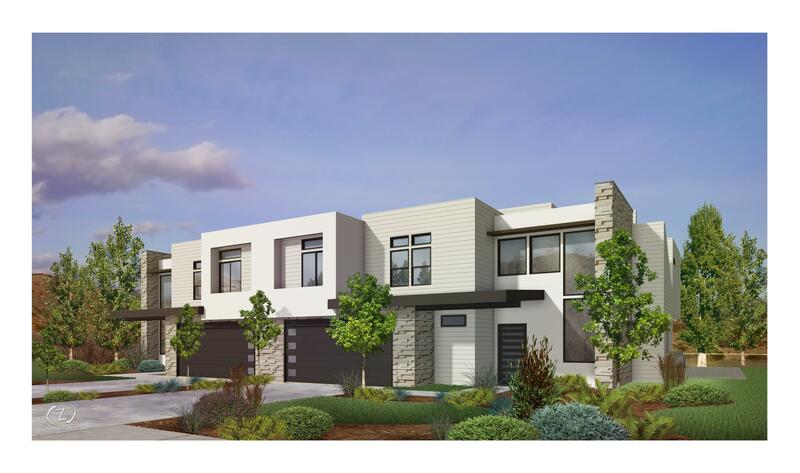 Built by Parade Home Builder Wayne Anderson it has been appointed with the finest quality upgrades. Enjoy the city and mountain views from your pool or covered patio." "Model home for sale. Model Leaseback, call agent for details. 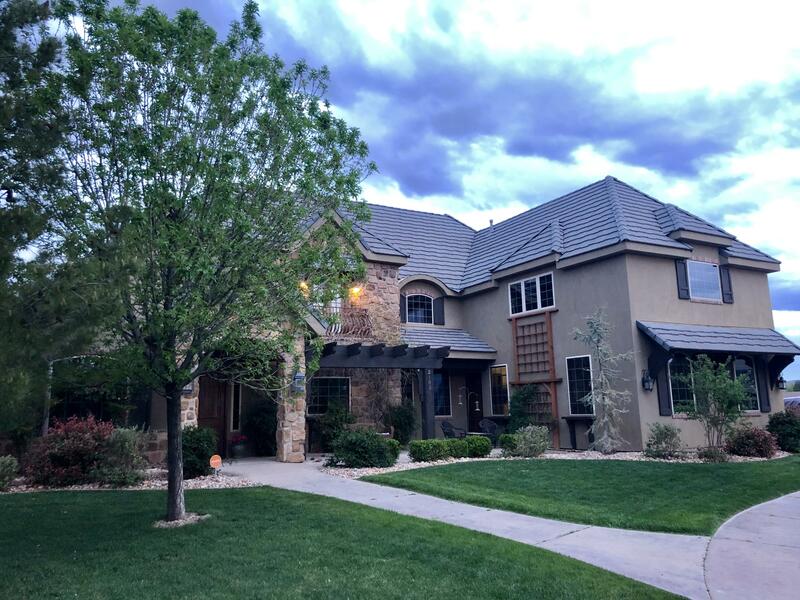 This Nightly Rental Approved 7 Bed/7.5 Bath, 2-Car Garage Townhouse is a SPEC. Resort style amenities, Rooftop patios, splash pad, park, pool/spa, & pickleball courts. Ideal 2nd home or investment property. Prime location off I-15 and SR-9. 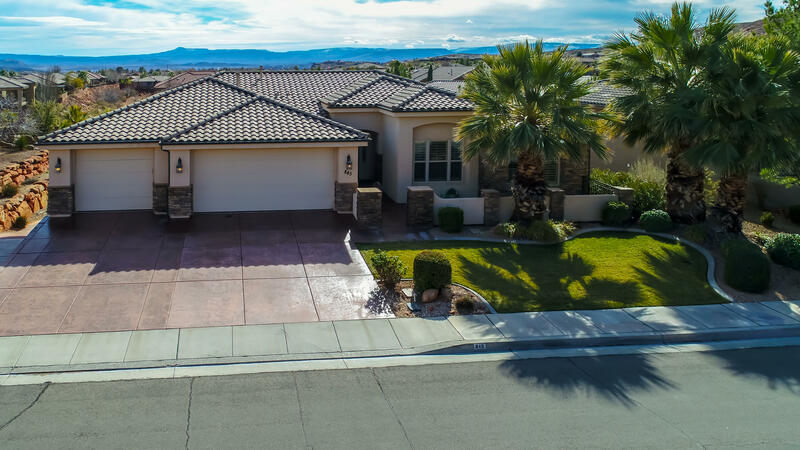 Great recreational area with golf courses, lakes, sand dunes, and Zion National Park near by"
"This Nightly Rental Approved 8 Bed/8.5 Bath, 2-Car Garage Townhouse is a SPEC. Resort style amenities, Rooftop patios, splash pad, park, pool/spa, & pickleball courts. Ideal 2nd home or investment property. Prime location off I-15 and SR-9. Great recreational area with golf courses, lakes, sand dunes, and Zion National Park near by. UNDER CONSTRUCTION"
"HUGE custom Rambler w/ 4 car garage on over a half-acre. 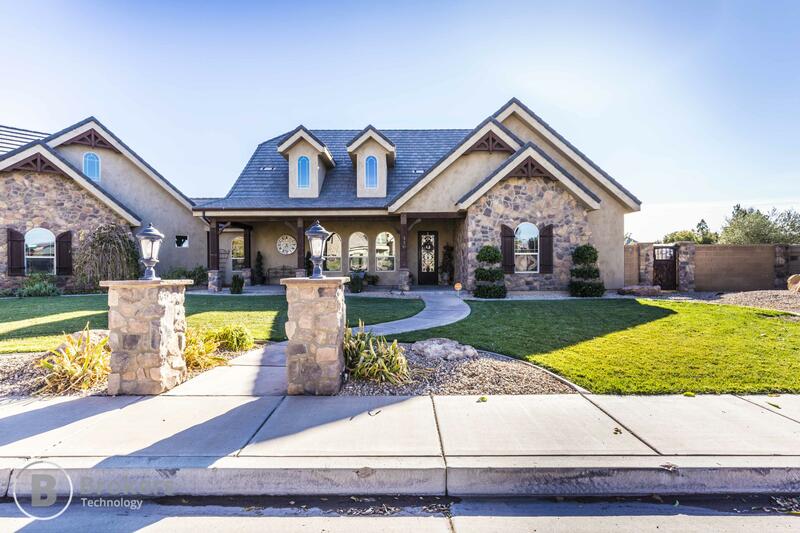 This gem is nestled into the middle of the premium Skyline Meadows neighborhood. The HUGE 12' plus kitchen island makes entertaining & cooking for large gatherings a breeze or the perfect setting for quaint family conversations gathered for breakfast. AS well the second family / bonus room will give kids and guests room to spread out in." "This Nightly Rental Approved 7 Bed/7.5 Bath, 2-Car Garage Townhouse is a SPEC. Resort style amenities, Rooftop patios, splash pad, park, pool/spa, & pickleball courts. Ideal 2nd home or investment property. Prime location off I-15 and SR-9. Great recreational area with golf courses, lakes, sand dunes, and Zion National Park near by. UNDER CONSTRUCTION"
"Gorgeous home is a desired neighborhood. Upgrades throughout the house with an open entertaining layout. Dream type backyard for the entertainer within you. Wonderful in ground pool and Jacuzzi with a sand volleyball court. Casita above the garage with separate entrance." "Welcome to The House of Hope by New Trend Construction. This warm and comfortable home has beautiful trimwork and finishes throughout. Large windows and gorgeous white custom cabinets provide a light bright field. 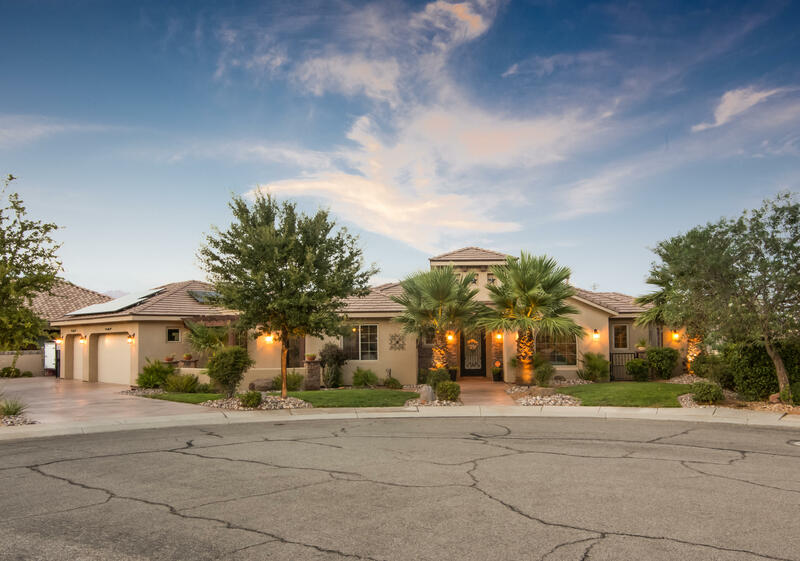 The fully furnished backyard with a swimming pool, fire pit, and palm trees invite everyone outside to enjoy the Saint George lifestyle. You'll love the tall ceilings and open floor plan"
"Three separate living spaces all w/kitchens. Gourmet kitchen on the main level features Wolf/Subzero appliances. True ''Casita'' features living room, bed / bath and kitchen. Separate laundry facilities on both levels with tons of storage space. Solar panel system installed July of 2017. COPY LINK FOR VIRTUAL TOUR: https://my.matterport.com/show/?m=FVcCnRToe5L&utm_source=4"
"Incredible backyard with custom pool, basketball court, 12 person spa, all on over a 1/2 acre! This beautiful 5 bedroom 4.5 bath is loaded with upgrades that include theatre, stone fireplaces, upgrade cabinetry, wood floors and exposed beams. Recent master bathroom remodel added 2 large his/hers closets and a sauna with privacy door out to the hot tub! This is a must see!" "Immaculate detailing and quality construction on a view lot! 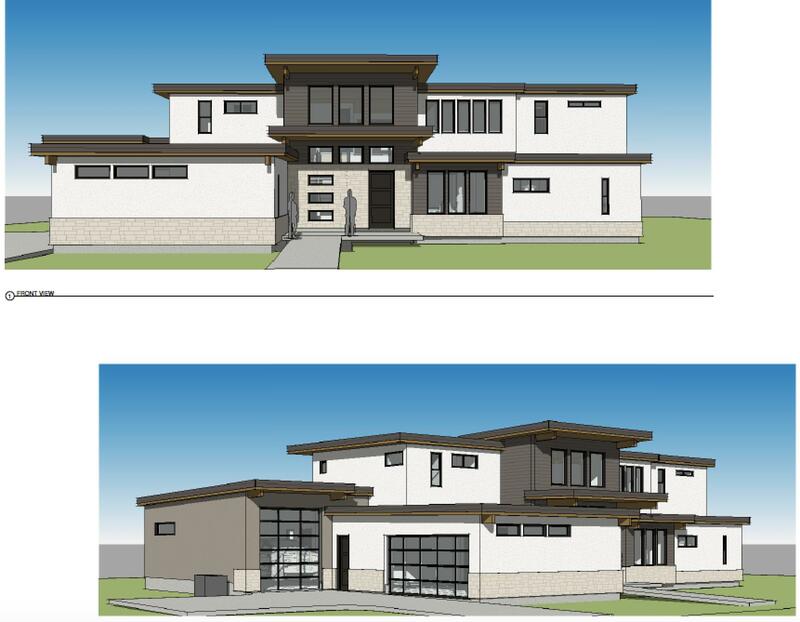 Custom luxury home to be finished in gorgeous quality similar to photos. Right now you can choose your own colors. Built between two Parade Homes (2018 and 2019). Completion is 60 days out. 2x6 construction (R30 Walls), ultra energy efficient. Optional Theatre Room, or extra master. 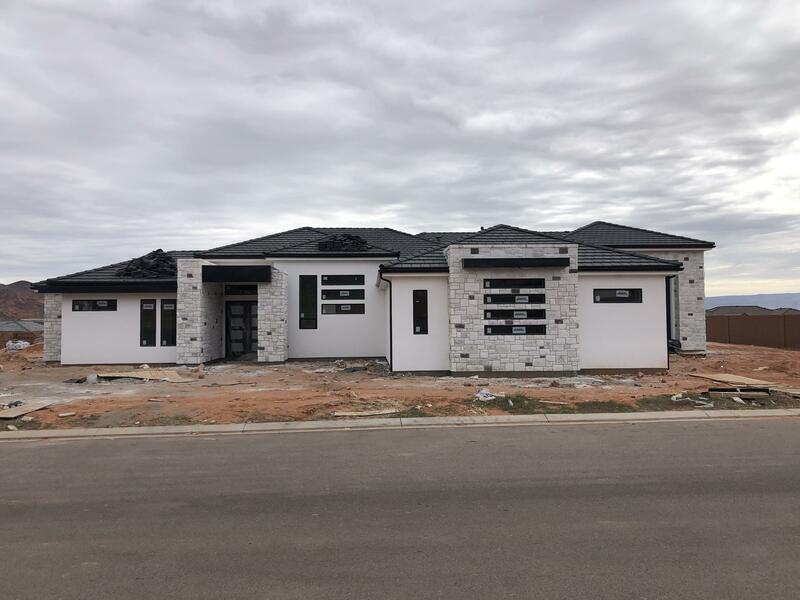 This is a must see home with views you'll fall in love"
"This is the custom home where the builders thought of everything. Presidential upgrades and finishes throughout. 270 degree Golf Course, Pine Valley, and Zion Views. Watch golfers on the 13th hole Green Springs and enjoy the common area pool. 10+' ceilings, central vac system, Anderson windows, 4'' plantation shutters, pull down ironing board and wrought iron railing." "-TO BE BUILT-!!!! Awesome New Contemporary Home. open floor plan." "This ''AMETHYST'' model leaseback is available for purchase. BEAT THE PARADE CROWDS and BUY NOW! No need to wait 6, 8, or 10 months on new construction, this ''BEAUTY'' will be finished in 3 weeks. Reclamation Wood Floor, Added Garage Bay, Flex Room, Custom Landscaping, Linear Fireplace, 2 Built-In Bunks, Whole House Audio, 71 Can Lights, 4-Panel Multi-slide, Barn Door, Gourmet Kitchen, Opt. Bath"
"Spectacular home in Green Springs with plenty of room for toys. 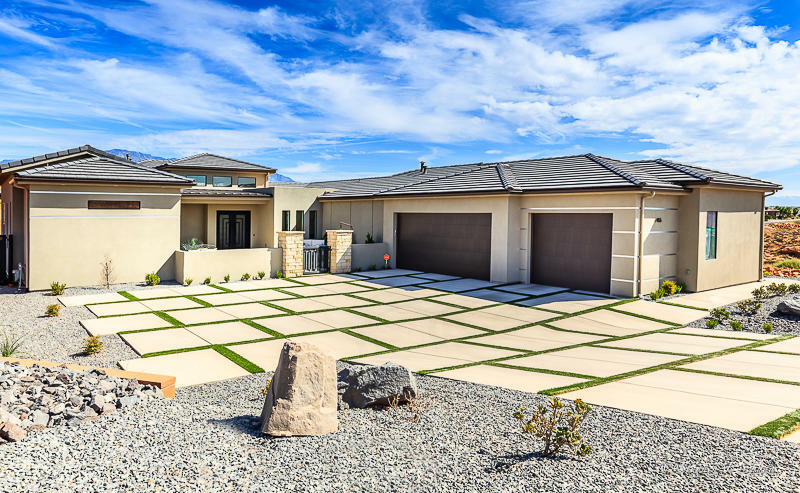 This home features a basement garage that is 873 sq/ft. Loaded with granite counter tops, tile floors, and an open floor plan. Large 1/3 acre lot with beautiful landscaping. Home has a daylight basement complete with a kitchenette and has plenty of room for a theater room / rec room." 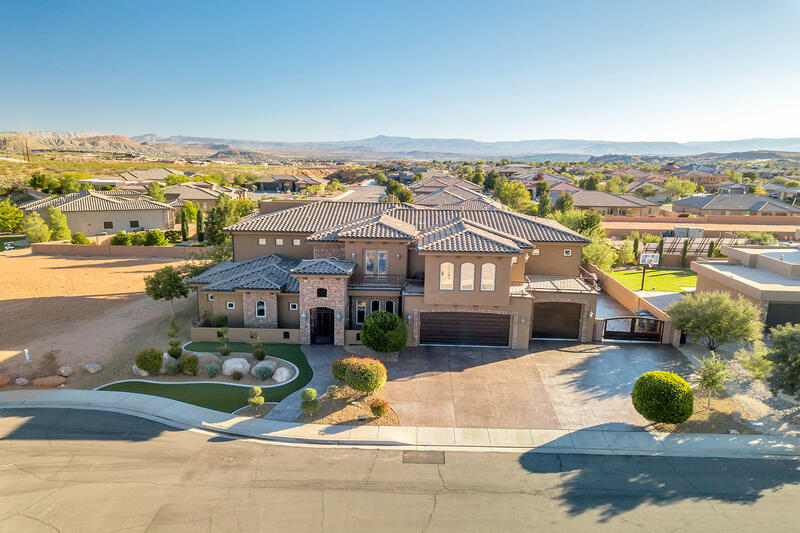 "This incredible lot in Eagle Summit Estates, Southern Utah's newest luxury neighborhood, is perched high on the red bluff above Green Springs and offers commanding views of the city, St. George's iconic red rocks, Pine Mountain, Red Cliffs NCA, Zion N.P., and the AZ strip."